TD Toronto Jazz Festival – Now in Yorkville! You are here: Home / TD Toronto Jazz Festival – Now in Yorkville! The TD Toronto Jazz Festival is moving to Yorkville, and it kicks off this summer from June 23 – July 2nd, 2017. With more than 100 free concerts being presented throughout stages in Yorkville, everyone is invited to experience the best jazz from Toronto, across the country and around the world. The TD Toronto Jazz Festival is one of the premiere jazz festivals in North America, celebrating its 31st edition this year. With more than 1,500 musicians performing, the Festival has something for every music lover. From emerging artists to established musicians, jazz legends to undiscovered gems, the TD Toronto Jazz Festival showcases the very best in jazz this summer! Shows start daily at noon and finish at 10 p.m.
To help honour Yorkville’s artistic legacy and kick off the TD Toronto Jazz Festival, Canadian icon, Randy Bachman, will perform with some very special guests, including Walter Trout, at The Concert Hall on opening night, Friday, June 23. 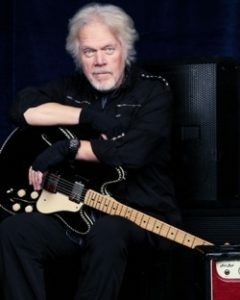 Few artists can claim to have made a bigger impact on popular music than Randy Bachman, widely regarded as the “architect of Canadian rock n’ roll,” His list of unforgettable anthems turned pop-culture touchstones includes such hits as “You Ain’t Seen Nothing Yet,” “Taking Care of Business,” “Looking Out for #1” and “Let It Ride” for Bachman-Turner Overdrive; and “American Woman,” “No Sugar Tonight,” “Undun” and “These Eyes” with The Guess Who. Since his first hit in 1965 with “Shaking All Over,” Bachman has sold over 40 million records and earned over 120 gold and platinum album/singles awards around the world for performing and producing, and his songwriting has garnered him the coveted #1 spot on radio playlists in over 20 countries. He remains the only one of his countrymen to have been inducted twice into the Canadian Music Hall of Fame. Click here for details of this performance and to read more about Randy Bachman. As a nod to The Concert Hall’s 100th anniversary this year, this performance will be specially priced at $19.17. This performance is presented by Q107. Click here to buy tickets. 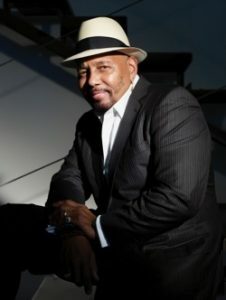 Multi-Grammy award-winner Aaron Neville will be headlining the OLG Yorkville Avenue stage with a free performance on Saturday, June 24. Click here to read more about Aaron Neville. Click here for the full OLG Yorkville Avenue Stage concert series. Some of the most legendary bands and musicians to ever come through the city have played The Concert Hall (formerly the Masonic Temple). From the Grateful Dead to Frank Sinatra, Chuck Berry to Iggy Pop, The Concert Hall is once again set to return as a concert venue and the Jazz Festival is excited to help usher in the next phase. The Concert Hall will host the TD Toronto Jazz Festival with a diverse lineup that will showcase the strong traditions of jazz, including the many sounds and influences that continue to help push the genre forward. It’s gonna take a Lotta Love to make things work out right. There’s no better time than now for Choir! Choir! Choir! to invite the City of Toronto to sing a Neil Young classic. Come be part of the solution at Toronto’s iconic Masonic Temple to bring a lotta love and harmony into the world. You know we need it! For a detailed schedule please click here. Tickets for The Concert Hall series can be purchased at Ticketpro.ca or by calling 1-888-655-9090. Founders Reggie Pace and Lance Koehler have cast this 11-piece band in which nearly every member has had conservatory training, holding various degrees in music. In putting together the compositions and arrangements, the “b.s.” has been stripped to give the audience something solid, unique, organic, real, and powerful. They have the look of New Orleans with the raw sound all their own — music is a true definition of the “Richmond sound.” This performance is their Toronto debut! As one of Canada’s top Jazz vocalists, Heather has collaborated with some of the best around, including Phil Nimmons, Fred Hirsch, Gene DiNovi, Guido Basso, Lea Delaria, Anne Hampton Callaway, Carol Welsman, Jackie Richardson, Ian Shaw, as well as the late Rob McConnell and Peter Appleyard. She’s a founding member of vocal ensembles The Beehive Singers and Broadsway, and has appeared as a guest performer with various Jazz ensembles, as well as with the Newfoundland Symphony Orchestra, the Toronto Concert Orchestra, and the Windsor Symphony Orchestra. She will make her debut with the Toronto Symphony Orchestra in 2017. Click here for the full OLG Stage on Cumberland Street schedule. Sambacana is an exciting Brazilian music ensemble reflecting the richness and diversity of a new generation of Canadian artists. Band members Aline Morales, John Yelland, Wagner Petrilli, Luis Guerra and Alan Hetherington have been performing together for Toronto’s growing Brazilian community and throughout Canada to high critical acclaim. Their melding of folkloric, popular and jazz idioms are now captivating audiences everywhere. Sambacana has just completed its first CD, Nós, with guest maestro and mentor Filó Machado. Virtuosic, shape-shifting guitarist and composer Matthew Stevens recently released his second album as a bandleader, ‘Preverbal,’ on Ropeadope and in Canada on Crystal Math Music Group (Metric, Grimes). ‘Preverbal’ is a visceral statement, a kinetic exploration of harmony and rhythm driven by Stevens’ masterful playing and singular melding of elements of experimental, jazz and rock. The album blooms and disintegrates over 8 original songs that are immersive and muscular, dark and joyous. ‘Preverbal’ was recorded with Stevens’ core band of Eric Doob on drums and Vicente Archer bass, plus synthesizer and deft touches of sound manipulation and studio craft. Stevens’ sophomore album as bandleader comes on the heels of a big 2016: He played an integral role in the direction and sound of Esperanza Spalding’s ‘Emily’s D+Evolution’ – one of the best albums of the year – and toured the globe as part of her power trio. He’s also collaborated extensively with Christian Scott, acting as his musical director, performing on all of his recordings and composing music. ‘Preverbal’ is the fully realized vision of this in-demand collaborator and band mate, the culmination of a decade spent lending an important voice to his many projects and as a bandleader. Click here for the full OLG Stage on Hazelton Avenue schedule. The OLG on Yorkville Stage on Sunday, June 25th, reflects (in part) the “sound of Toronto now” – each band represents a different Toronto musical or cultural community. Alex Pangman is a leading voice on Canada’s traditional jazz scene; Ken Whiteley is a Canadian folk legend; Asiko Afrobeat represents the incredible African diaspora in this city; Conjunto Lacalu represents Toronto’s Cuban community (one of the world’s biggest outside of Cuba); and KC Roberts is 100% funk and soul. Click here for the full OLG Stage on Yorkville Avenue schedule.